Mercy Miller, 75, passed away at her home on Monday, June 18, 2018. 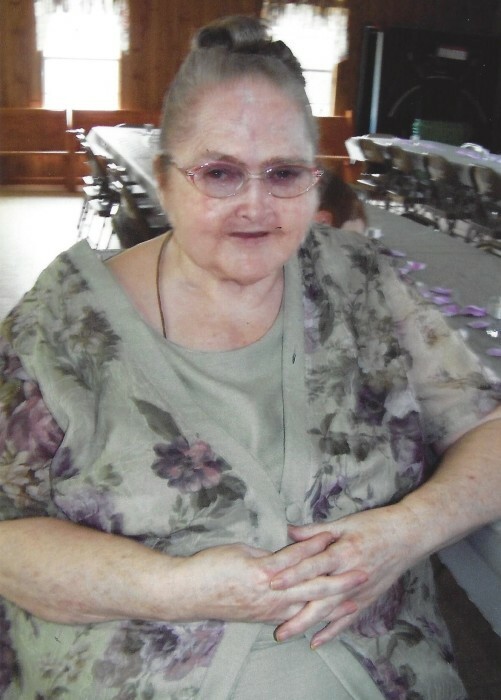 She was a homemaker who enjoyed spending time with her children and grandchildren. She loved the Lord and was a faithful member of Mt. Pisgah United Pentecostal Church. She will be dearly missed by family and friends. She is preceded in death by her husband, Josh Miller; parents, Boseman and Reathie Crocker; siblings, Uriah Crocker, Carol Crocker, Wayland Crocker, Oneida Welford, Myrna Osborne, Nerene Miller, and Junior Crocker; grandson, Brett McArn. Left to cherish her memories are her children, Donna McArn, Tammy Gossett (Danny), and Jason Miller (Margaret); grandchildren, Ashley Brewer (Jared), Aiden and Paisley Brewer, David Ball, Josh Ball, Alex and Jewels Gossett, Daniel Gossett, Alexis, Nicholas, and Blake McArn, David, Andrew, and Olivia Miller, Dale and Isaiah Taylor; siblings, Huland Crocker, Callaway Crocker, Howard Crocker, Mauleen Denmark, and Reba Baxter; and a host of nieces, nephews, and friends.